What is the Pacers’ fatal flaw this season? The Indiana Pacers are going through an identity shift. Over the past few seasons, the Pacers were known as one of the biggest and most physically-imposing teams in the league. They boasted Roy Hibbert and David West inside, and bullied teams in the paint as Memphis East. But now with Hibbert and West gone, the Pacers are embracing the small-ball phenomenon and emphasizing spacing, shooting and speed. They've moved Paul George to power forward — a move he wasn't sold on at first, but is slowly accepting — and are unleashing the fury of Monta Ellis. This team will almost certainly be better than their 23rd-ranked offensive rating, per NBA.com/stats. 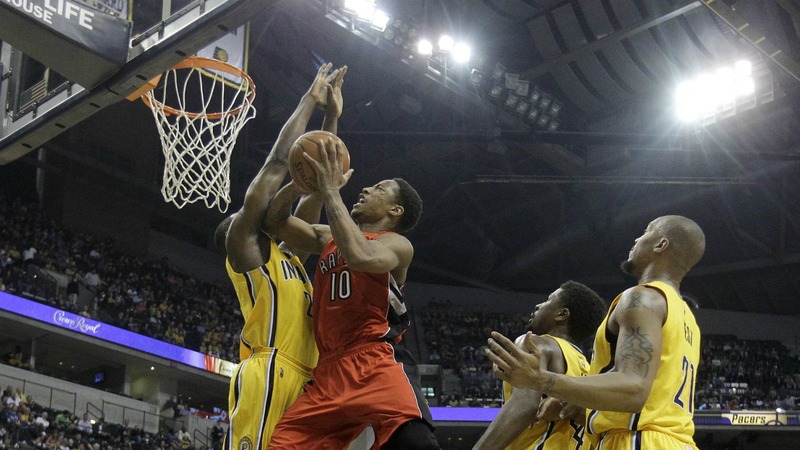 The drawback: The Pacers lost a lot of size, and will be weaker on the glass and defending the rim. Ian Mahinmi is solid, Jordan Hill and Lavoy Allen have their moments, and Myles Turner looks like a 3-and-D center. But that's still one of the worst frontcourt rotations in the East. Perhaps it doesn't matter much given the lack of interior talent overall, but it will matter against Cleveland, Atlanta, Miami and Chicago. The Pacers went from the biggest, strongest team in the NBA to this point in a single offseason. Ian Mahinmi, Jordan Hill and Lavoy Allen are the only traditional big men in the rotation, and Paul George already vocally dislikes the idea of playing power forward. Pacers president Larry Bird seems to have made a bit of an overcorrection this summer. He didn’t like that his team was falling behind modern basketball trends, so he invested in perimeter players without replacing Roy Hibbert, David West and Luis Scola. The Pacers could get beat inside on a nightly basis if things don’t work out.